Please see below for a document containing contact email addresses for Mr Beadle, Mrs Willcox and Mrs Mills. 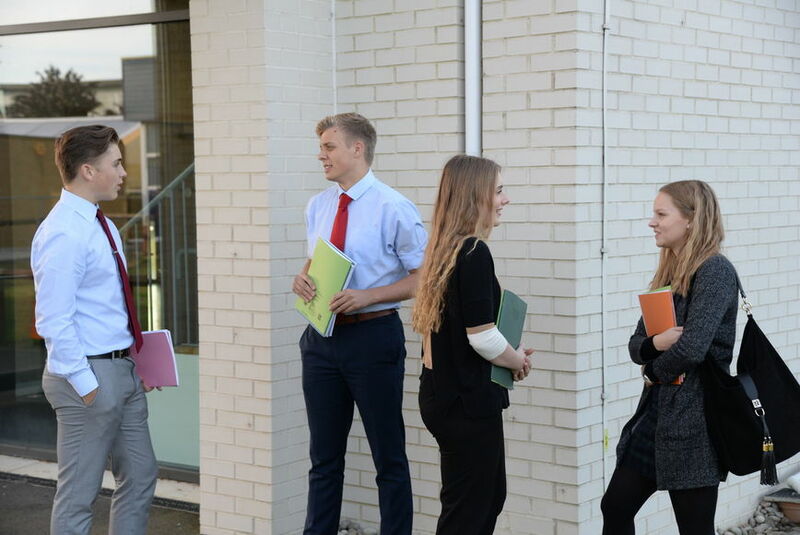 At Chelmer Valley High School we are committed to providing a rich and stimulating environment for students who wish to continue their studies into the Sixth Form, enabling our students to maximise their potential and achieve to the highest level of their abilities. We offer a wide variety of subject options; A level students can study Art & Design, Biology, Business, OCR Cambridge Technical in ICT, Chemistry, Design Technology (Product Design), Drama and Theatre Studies, Economics, English Literature, French, Further Mathematics, Geography, History, Mathematics, Media Studies, Philosophy, Physical Education, Physics, Psychology and Sociology. We have the following BTEC National qualifications: Business and Sport. Sixth Form students study 3 or 4 subjects in both Years 12 and 13. Both year groups will also study for an Extended Project Qualification and a Certificate in Financial Studies from LIBF which are both equivalent to an AS qualification. Students may also have the opportunity to study for the Core Maths Qualification. Students have a combination of lessons, directed study time and independent study time on their timetables, as well as time each day with a personal tutor, who will support and advise the student to help maximise their achievement whilst in the Sixth Form. Students are required to sign the School/Sixth Form Learning Agreement if they wish to study at Chelmer Valley High School. The school has its own dedicated Sixth Form Block. This is made up of a study area, with 50 computers and areas for individual private study and a common room for relaxation during break and lunchtimes. 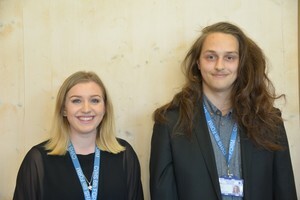 There is an active Senior Student Committee, which represents student opinions to staff and organises social & charity events throughout the year. Many opportunities exist to participate in the life of the school, examples of which include drama productions, sports teams, the student council and the mentoring of younger students. There is plenty of career advice available. 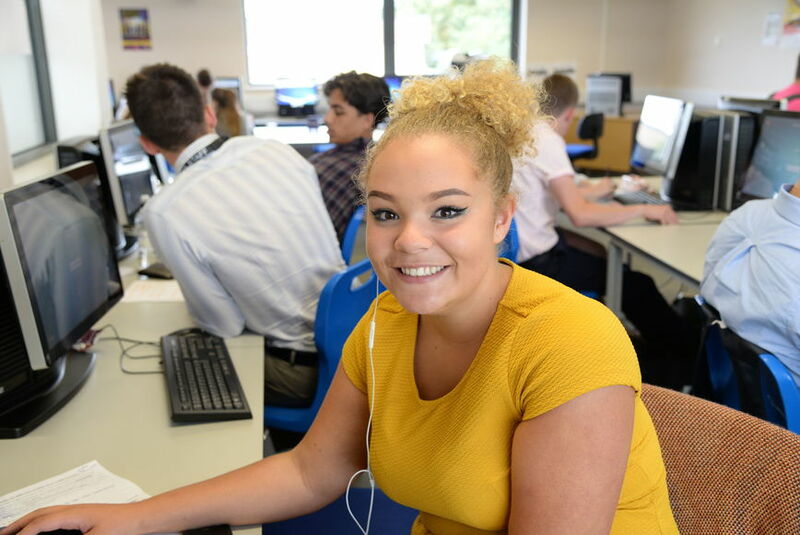 Every year approximately 70% of our Year 13 students go on to Higher and Further Education to study a wide variety of courses at Universities and Colleges across the country. They are fully supported through the application process during Year 13 and on A-Level results day. Students who prefer to seek employment at the end of their studies go on to jobs and apprenticeships which are matched to their qualifications and provide career development opportunities. In Chelmer Valley Sixth Form all year 12 students are expected to attend morning registration at 8.35am each day. It is important that their tutors have the opportunity to pass on important messages and information throughout the year. Tutor time is also used to encourage students to become involved in the general life of the school and allows tutors to check on progress or any concerns/worries the students may have. Year 12 students are expected to remain on site at all times until after October half term. After this, if the Head of Sixth Form is happy that the students are using their study time appropriately; students will be issued with a proximity card which will allow them to leave the school site when they do not have a lesson. Year 12 students have supervised private study during period 1 and period 5. Any student who does not have a timetabled lesson during either of these lessons must attend. The sessions are held in the Library during period 1 and in the Sixth Form Study Room during period 5. Year 13 students only attend registration on a Wednesday. They attend a fortnightly meeting with their tutor instead. They also have an assembly every other week, attendance of which is compulsory. If a student is absent, parents need to call in and report the absence on the school absence line. Good attendance is vital in ensuring Sixth Form success. Sixth Form dress should be of a smart-casual nature. The rationale behind this is to embed a sense of pride in their presentation and general work ethic. It will help them prepare for the world of work and set a good example for lower school students. Please read the document at the foot of the page explaining the full Sixth Form dress code. If we feel a student's clothing is in breach of our expectations, they will be spoken to. If students continue to wear unsuitable clothing, they may be asked to go home and change. It is understood that students will apply for part time work and it is a good experience for them. Studying for A-levels, however, is a full time commitment and students need to have a good work/life balance with time to relax as well as study. We would recommend therefore that students do not take on more than 8 hours per week. Congratulations to our Senior Students voted by their peers and staff. We wish them all the best in their new roles. The Senior Students attend some of the major school events like Open Evening, Awards Evening and the 11 Progression Evening. They also have the task of arranging the end of year Valedictory Dinner. 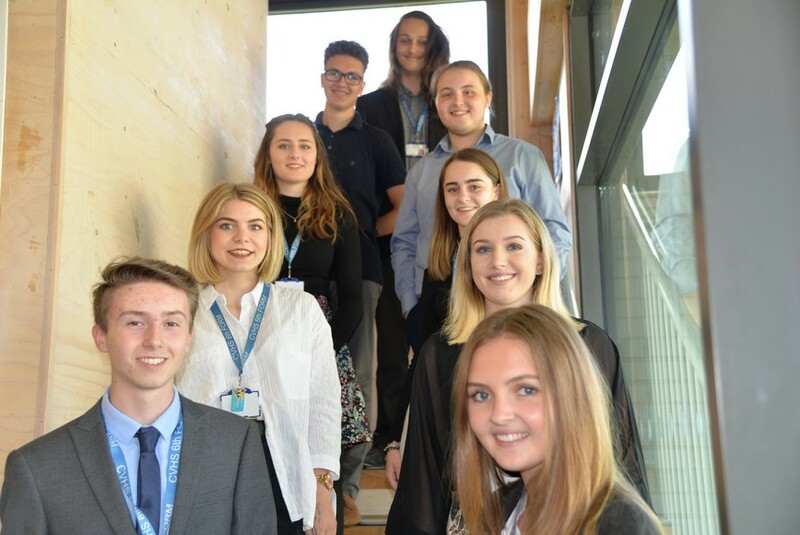 The lead teacher on this group is the Head of Sixth Form, who provides information and guidance throughout Year 12 and 13 through an established programme. This support is in addition (and complimentary) to that offered through the usual tutorial programme offered by the Sixth Form. Regular meetings each half term to offer advice/ share information/ dates etc. How are the students chosen to be members of the Aspire Group? 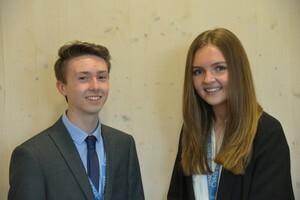 A: Potential Russell applicants are identified by the Head of Sixth Form, working alongside the Assistant Head of Sixth Form They are identified based on their GCSE results as well as the nominations by teachers and early working grades in Year 12. Subject option choices will also be considered (see ‘Is there anything I should do before joining the Sixth Form?’ below) Some students also self-identify as Aspire applicants and can apply to join by seeing the Group Leader. If I’m not invited to join, does that mean I can’t or shouldn’t apply to a Russell University? A: It doesn’t mean this at all. If you wish to join, you may ask to join by contacting the Russell Group Leader who will discuss this further with you. The group aims to support students with a strong likelihood of a successful application, and it may be that for whatever reason (see how they are chosen above) you were not identified. 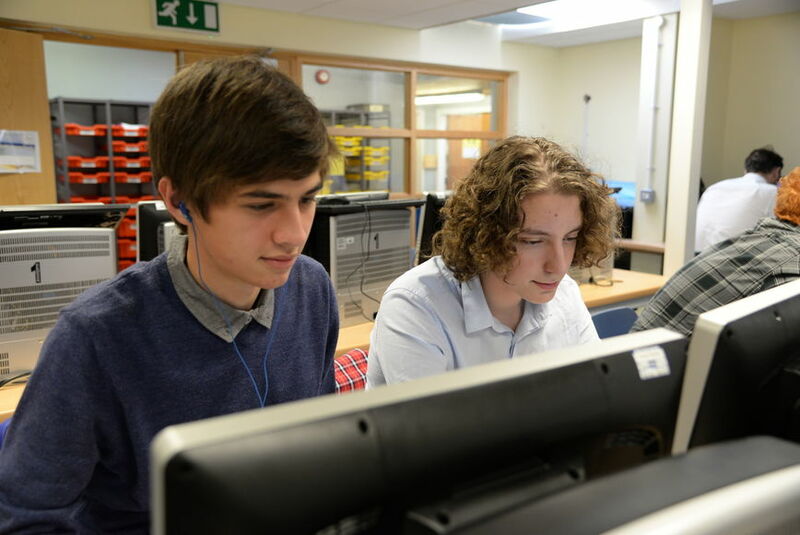 Students are often added to the group at the beginning of Year 13 when PPE results are received, and occasionally during Year 12. Is there anything I should do before joining the Sixth Form? A: Prior to joining the Sixth Form, those with strong GCSE predictions should look closely at the Russell Group page in the prospectus about ‘Russell Pathways’. It is important to pick subjects (and combinations) that will demonstrate your academic credentials to these institutions. Picking the appropriate options is one of the first stages in a successful Russell application. Who are the Russell Universities? Who should I contact regarding the Russell Group?